gister vir my suster-hulle gaan kuier in Hermanus - met die 'Bird. That is a really cool photo of the "midget" standing on the Top Box. Looks like he wants to jump off the Yammie onto the Kwakkie? ?? Cape Town last Sunday. Victoria Drive. Lekka weather. 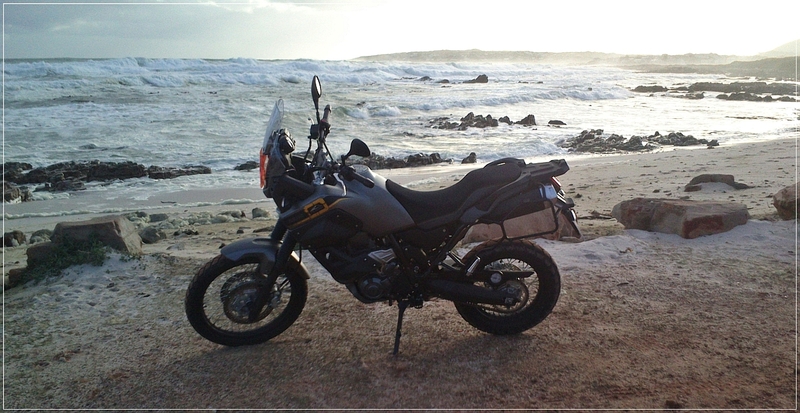 Rally Raid, Wild Coast, earlier this year. And another one or two.